Do you know why huskies run together, in harness, in front of a sledge? They run together because they like running together. And just as huskies enjoy running together, humans gossip because they like gossiping together. It it is in the make-up of the creature: huskies are sociable running animals; humans are sociable gossiping animals. Neither we nor the huskies can change those core characteristics of our natures. 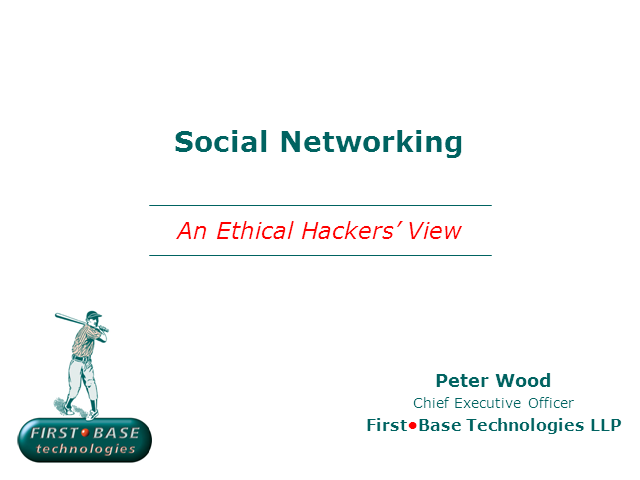 This presentation will highlight some of the dangers introduced by social networking, including a fascinating case study, and what we can do to minimise the threats without trying to change our basic nature. - Social engineer & penetration tester Conference speaker and security "expert"